Our survival in the ever-changing world we live in requires that we pick up and use sensory information from our environment so that we can successfully interact with other objects and/or people. More specifically, changing patterns of sensory stimuli provide the brain with important information that allows us to organise and control our actions ahead of time. 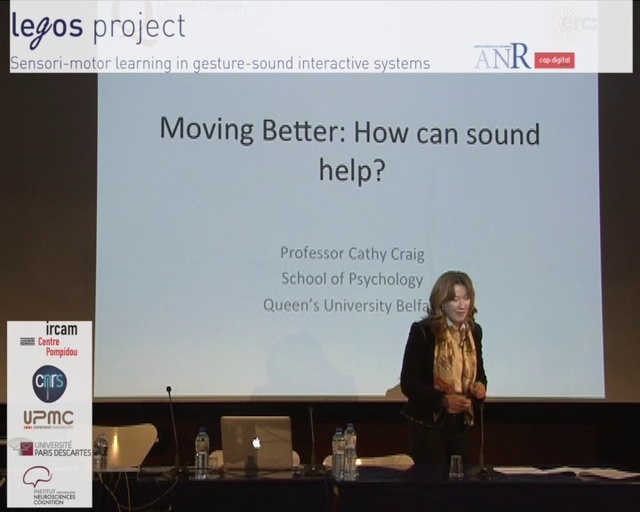 In this presentation I will explore how the brain can use this sensory information to guide movement. More specifically, I will discuss how we can harness the power of dynamic sensory stimuli, in particular sound, to create auditory guides that help improve the control of our actions. In the first example will look at how sound can help improve the consistency of action when learning to perform a new self-paced skill, that draws on the main principles involved when putting a ball in golf. The second example will explore how sound can be effectively used to help improve movement performance in people with Parkinson’s disease. Limitations associated with sound synthesis along with the future direction this emerging area of research could take will be discussed.